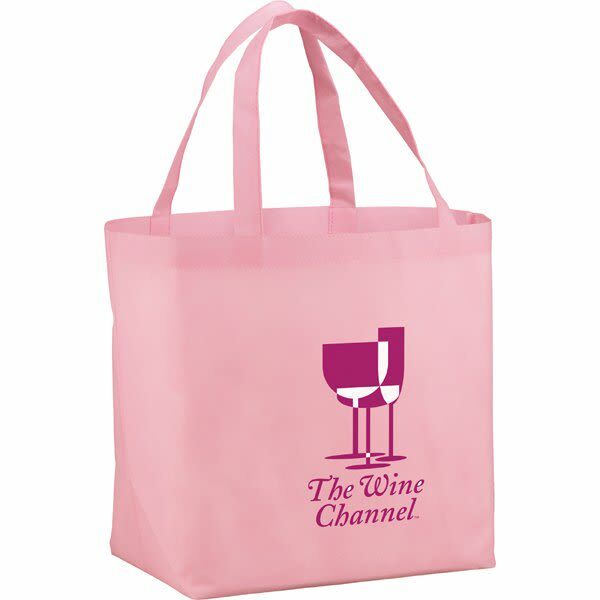 The YaYa tote will have you singing "LaLa" when you see the promotional power of the huge imprint area. 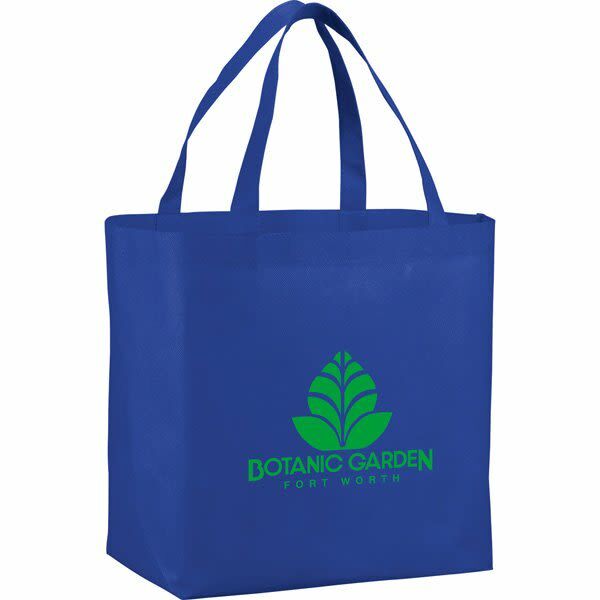 A wonderful, reusable and recyclable bag, this tote is constructed out of 80-gram non-woven polypropylene and features 20-inch double handles and a large main compartment. 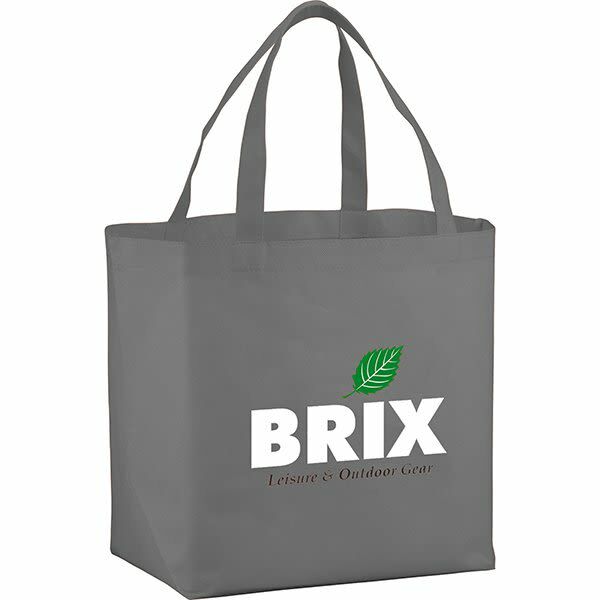 A one-color imprint is included in price. 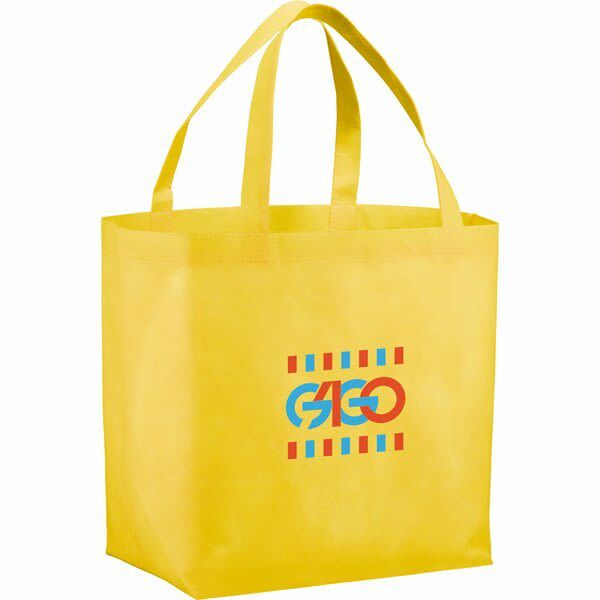 Additional imprint colors and locations are available for an extra cost. Please call for more details. 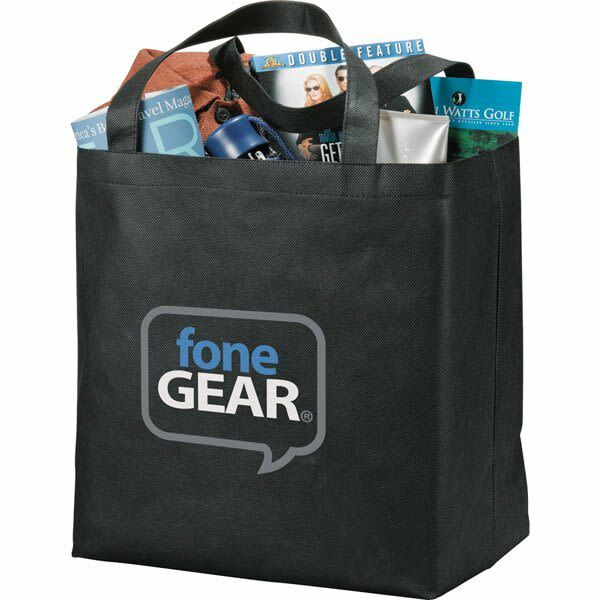 Big jobs call for big bags. So do big brand awareness and advertising campaigns. 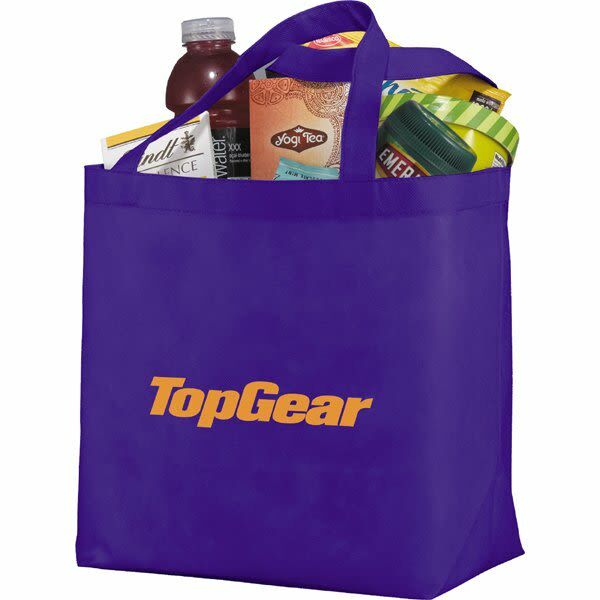 That’s why we want you to meet and shake hands with the YaYa Budget Huge Shopper Tote. These customized extra large tote bags with logos over an enormous main compartment, ideal for grocery shopping, clothes shopping, dispensing pamphlets, and collecting giveaway items at trade shows. 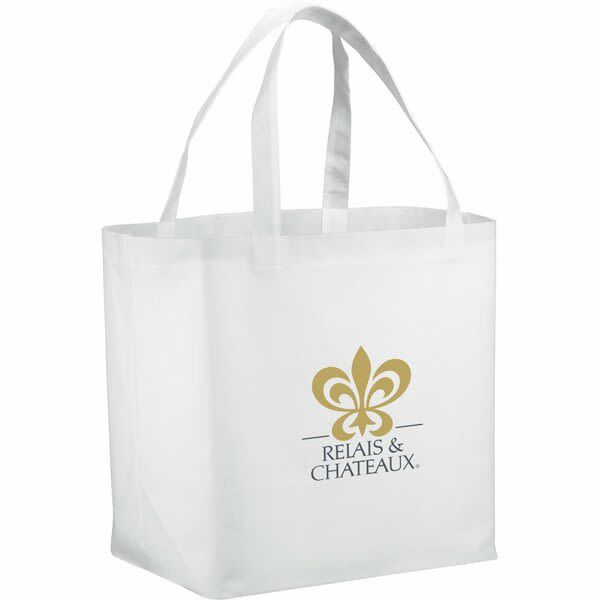 These wholesale inexpensive jumbo tote bags are highly durable, owing to their sturdy 80 GSM non-woven polypropylene construction. 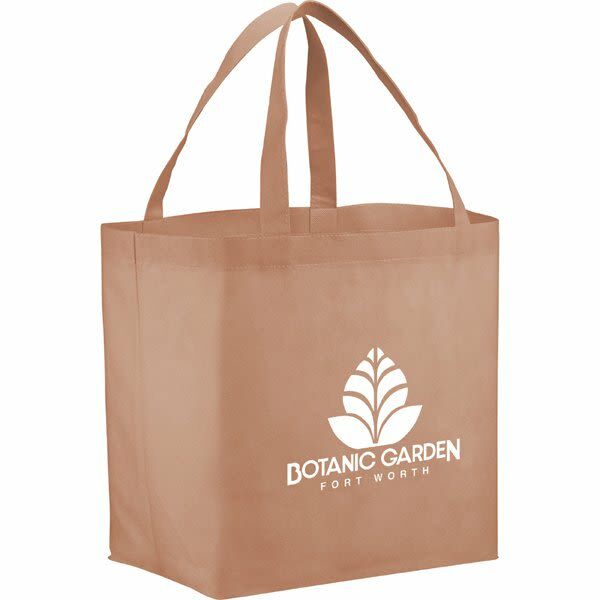 They’re also eco-friendly custom tote bags, as they’re made from recycled materials and are fully recyclable when and if their days of service as tote bags end. In addition to the sizable main storage compartment, you’ll also find comfortable 20 inch handles when you buy these cheap big tote bags in bulk. 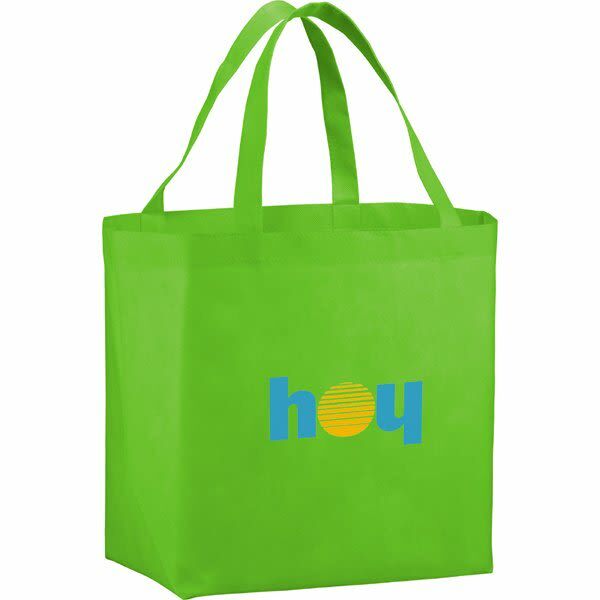 Our YaYa extra large promotional tote bags are 20 inches wide by 13 inches high by 8 inches deep. This gives them a total storage space of 2,080 cubic inches! 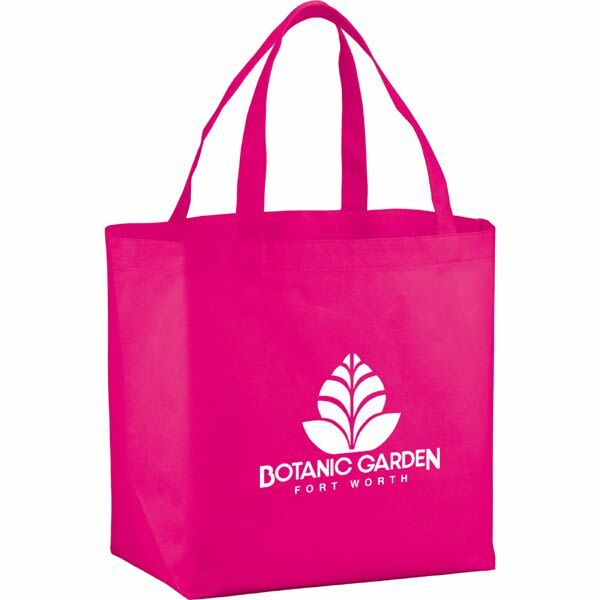 Each one is accompanied by a single color and location logo imprint design, which appears in a 5 inch wide by 4½ inch wide imprint area. 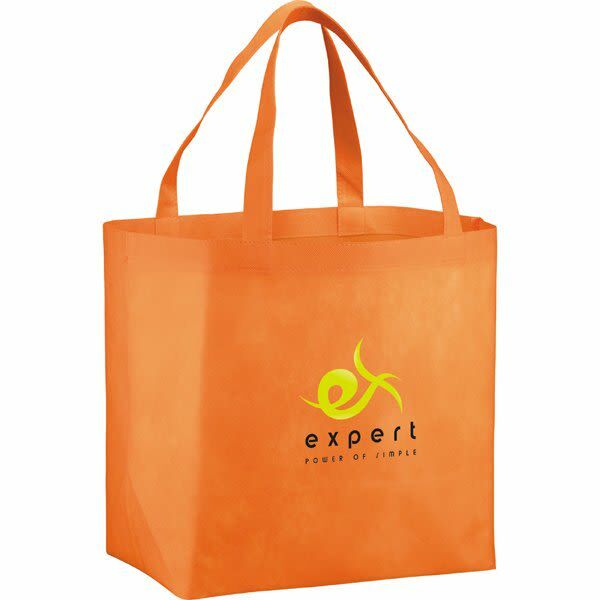 For an upgrade fee, multiple imprint areas and multiple logo design colors can be accessed. Looking to live large? 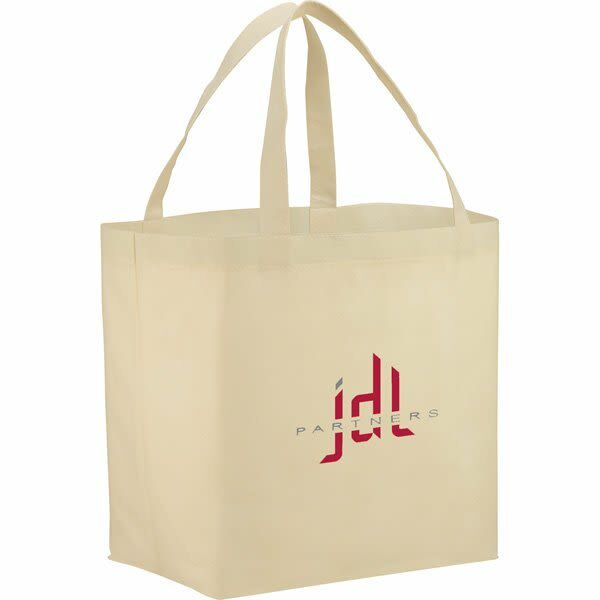 We have many more models of personalized extra large tote bags with logo imprints for you to browse.